Few years ago, the entire landscape of paid search could be summed up as text ads on desktops. There was enough simplicity and hence analyzing performance didn’t need enough slicing and dicing to receive meaningful takeaways from paid search data and non-brand vs. a simple brand could do the trick. With the rise of additional devices and ad formats, understanding the performance of search require PPC managers and the analysts to dissect data in different ways before reaching to any conclusion. Let’s take a look at the most vital segmentations and why each of them is important for paid search analysis. According to a digital marketing report, the share of paid search traffic which comes from desktops is currently at 47% and 39% come from phones and 15% from tablets. For majority of the advertisers, such devices perform differently and research reveals that mobile phones produce revenue which is 65% lower than what desktops offer and revenue from tablets is 30% lower. So, adding all the devices, analyzing performance can hide the details of true value. Equally important is the rise of mobile devices through the last few years and this has been the main reason behind paid search traffic which comes from Google PLA or Product Listing Ads. Such ads based on images have grown considerably since their inception in 2009 and this too accounts for 70% of non-brand paid search clicks in Q1 for retail advertisers. Obviously from the rise in share is the fact that spending growth of PLA has outpaced that of text ads. One more bit of segmentation which helps advertisers understand paid search performance in a better way is breaking out search performance differently from google.com. The Google search partner network is a total group of websites which use Google to power off their search results. 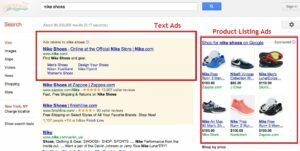 The online advertisers may even choose to target their ads to such sites with google.com or exclude them totally using the settings of AdWords campaign. Therefore, it is also vital to understand how search partners perform because the websites which are included in the network often change. The paid search landscape has got even more complex and it depends on the analyst to study on the complexity into various segments which can be studied for potential optimizations.